CLIENT HOURS Your client hours represent one of the most important parts of your business – income. To help maximise your income, this entails making the most of your client hours, and how you manage your clients within your entire business structure. This includes both therapy and administrative procedures. 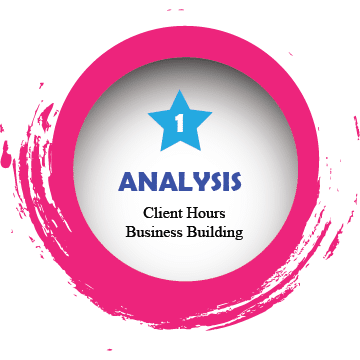 Analysis of your client hours should also include the time spent before, during and after your client sessions. BUSINESS BUILDING Analysis of your productivity helps identify improvements that could be made within in the functioning of your business. Having insight into how your time is currently spent enables you to make decisions on how you will plan and build your business so that you can meet your personal and professional goals. 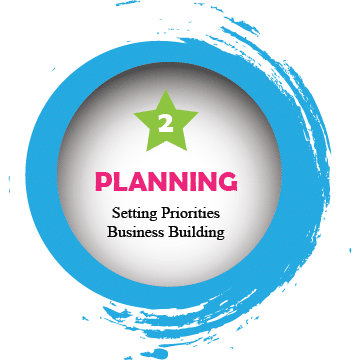 SETTING PRIORITIES Before embarking on any process of planning or improving productivity, it is important to identify your priorities, both personally and professionally. Maybe you have found yourself with a never-ending to-do list. 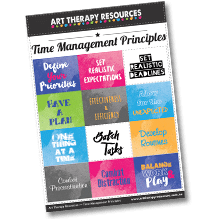 We often think having more time will help us complete the list, however setting priorities will have an enormous impact on accomplishing your tasks. BUSINESS BUILDING Planning is essential in building the successful art therapy business that you want. The path to success is not simply opening the doors and waiting for clients to walk in, however, it is finding your clients, marketing to your clients and managing your business tasks around your clients. This requires a coordinated effort to ensure what you do has an impact and that you are not taking a passive approach to your business success. ROUTINES Establishing good routines and eliminating bad routines is a vital part to improving your productivity. 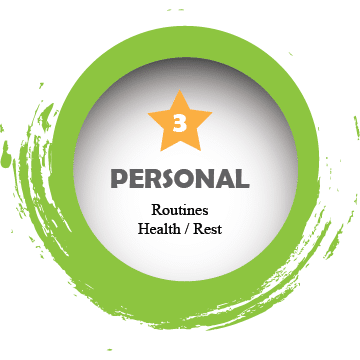 Routines can make your life easier and allow you to approach tasks with familiarity and purpose instead of conducting your day in a reactive manner. As you place more mundane tasks into a routine, this provides you with more time for creative endeavours. HEALTH / REST Over the past decade, numerous studies have created the link between exercise and diet on brain function, including the ability to focus as well as think clearly. Healthy amounts of sleep and rest also contribute to mental alertness and being able to absorb information with better retention rates. All of these factors are important components of self-care that ultimately contribute to an increase in your productivity. BE INSPIRED Inspiration can not only motivate us but also affects our perception of our abilities. If we believe we are capable, we also believe that we can transform goals from possibilities to realities. Running your own business entails daily demands that can wear you down over time. Being inspired involves more than simply having a positive attitude, instead, inspiration helps to transcend our mindset beyond what we think confines us in achieving our goals. 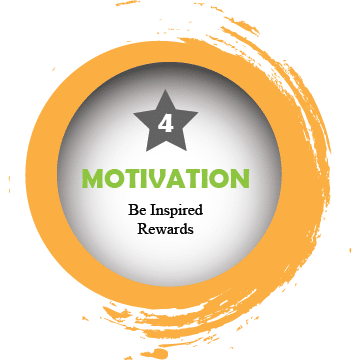 REWARDS Incentives are an effective way to motivate and increase productivity. Rewards can be financial (increased business income), physical (taking a holiday) or psychological (achieving goals). As a business owner, you often have to motivate yourself and as a process of self-care, this should include rewarding yourself. DISTRACTION The most obvious productivity distractions are too many emails, phones notifications, checking social media, or watching cat videos on YouTube. In addition to these distractions, we can also be distracted by business tasks that appear to be necessary, but are in fact obstacles to working productively. Streamlining, batching and outsourcing can all help to reduce these distractions so that you can focus on more productive work. PERSONAL ENERGY Your own personal energy is a large contributor to your level of productivity. This is affected by your health, and also your personal work ethic and enthusiasm that you have towards achieving your business goals. This is linked to motivation and the use of rewards to combat moments when your personal energy is low. This is something every person experiences, particularly business owners who are often required to be enthusiastic about goals that feel unachievable at any time. USEFUL TOOLS We live in an era when automation and efficiency are encouraged. The result of this advancement is a vast selection of electronic tools and best practices which help to reduce duplication of tasks and improve our productivity. This could be as simple as using a password manager for your online accounts or implementing systems to improve the way in which you book clients and deliver services. 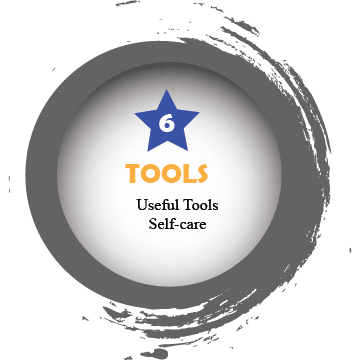 SELF-CARE Along with using tools for business tasks, we can also use tools for self-care. This could be using an app for guided meditation or recording your physical activity. Implementing a plan for self-care can be more manageable when using tools that are developed to facilitate success. As a business owner, we can become isolated and self-care can often be neglected. In-person activities and also online communities can help encourage us to commit to self-care activities.